Wait a Second. Is Kate Holding a Human Brain? You peer down a long, dim hallway. At end, you can make out a door. The door is closed; the hall, quiet. It's just you and the shadows. You start to wonder what could be on the other side. Suddenly, you realize the loudest thing you hear is your own breath and the only thing you feel is your own heart beating. Then you run into a cheery chap with an immediate answer. "It's not something that's scary at all," he says "I'm Chris Cohan and we're in the Brain Museum at the University at Buffalo." 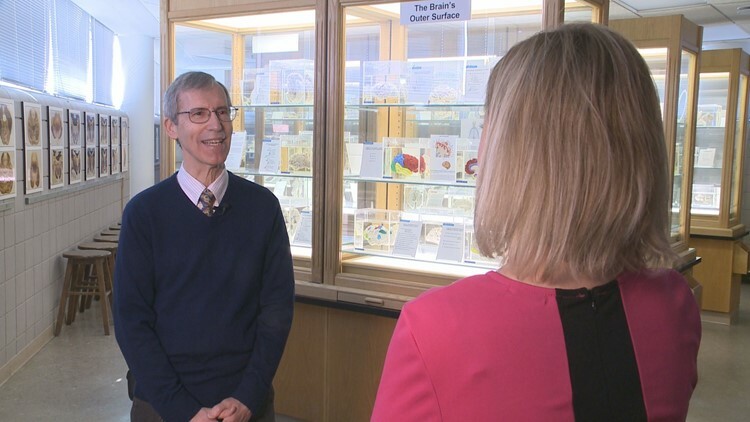 Chris is a professor in the department of anatomy and physiology at the Jacobs School of Medicine and Biomedical Sciences at the University at Buffalo medical. He is also the Keeper of the Brains, so to speak. "The museum is a little out of the way and people can't really wander up here without knowing exactly where it is," he explains. It is definitely worth the trip. Dozens of real specimens give visitors a rare and fascinating look inside our own heads at the thing that does, well, everything. 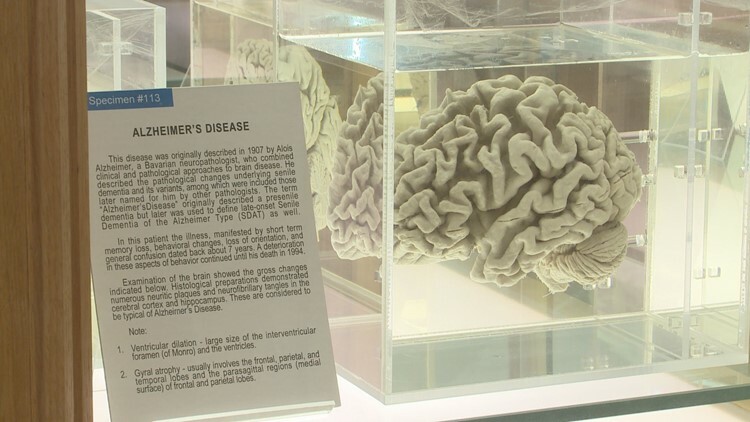 The museum also sheds light on the dramatic effects things like Alzheimer's disease and stroke have the brain. "It's something that continues to amaze me," Chris explains, "because it's such a complicated organ. It's something that we're never going to figure out in the short term and even the long term we wonder really how much we can understand about it." Founded in 1994, the Brain Museum is the only one of its kind in the country. And it is probably the only place where you can hold an actual human brain in your hands. "You won't break it, " he says with a smile, the brain resting comfortably on a table between us. I pick it up. It's heavier than I imagine. It is certainly understandable if this part of the museum experience is not for you. The more you think about it, though, it is far less gross and way more remarkable. "That's where somebody's whole life was stored," Chris points out, "all their memories were stored in that brain and now it's in our palms to be held. He continues, "we're grateful to the people in the community who have donated their bodies. 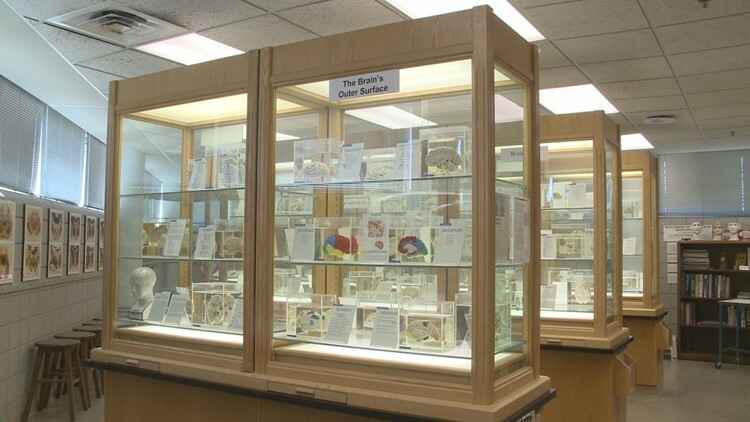 It's where the specimens come from and we wouldn't have any of them without the donations people have made so graciously at the end of their lives." 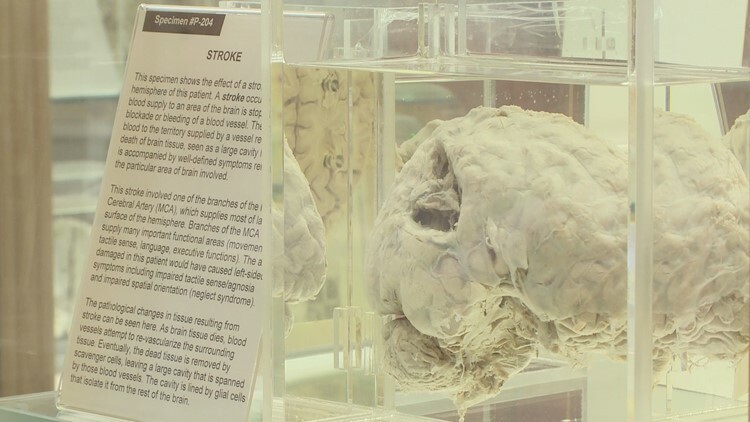 The Brain Museum: it is beautiful, powerful, completely human and only in Buffalo. There is so much more to learn and explore. Chris is incredibly knowledgeable and answers all of your questions. All ages are welcome at The Brain Museum. Follow this link to learn more and find out how you can schedule your visit with Chris. The museum is free but it is by appointment only.